I HAVE a suspicion that the majority of winners of the endless procession of reality talent shows on television will end up as little more than questions in pub quizzes in a few year's time but the Paul Potts phenomenon seems to have sturdier legs. I saw the former phone salesman at Symphony Hall some 18 months ago and on his return just about everything seems that bit bigger: the orchestra, and, dare I say it, Mr Potts himself, and certainly the voice. Since he won Britain's Got Talent Potts has had two-and-a-half years for voice training, practice and performance and it shows. His voice has more range and power and he sings with more confidence with top notes delivered with assurance rather than merely reached. Some things don't change of course. 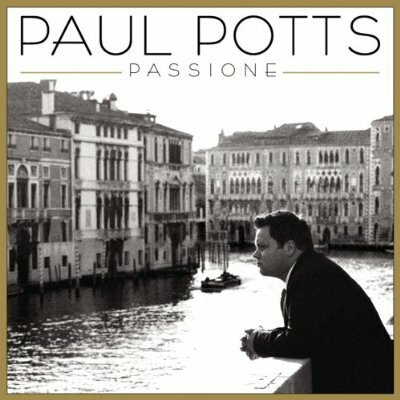 He still takes some flak for somehow not being a proper opera singer and for being an opera/pop crossover performer but Potts has never claimed to be the new Pavarotti, indeed at his very first audition he just said he was a bloke who sang opera and little seems to have changed. He still comes over as an ordinary bloke who just loves to sing opera and tells the audience again and again how grateful he is to be given the chance to do just that - which is part of his charm and his appeal. There are faults, as with most performers, but Potts would never claim to be the best or even one of the best tenors in the world. The simple fact is though that he sings arias a lot better than most of us and while people continue to want to see him perform good luck to him. You never know he might even just encourage a few people to take an interest in proper opera. His first CD, One Chance, has sold more than 4 million copies and a second CD, Passsione, appeared earlier this year. He opened with Granada and then moved on to Memory from Cats which he sang in Italian, something he does a lot, seeming to prefer Italian versions of songs rather than their English originals which we saw again with Ewan MacCall's The First Time Ever I saw Your Face and the haunting love theme from Zeffirelli's 1968 film Romeo and Juliet both in Italian. One exception to the comfort zone of Italian was I'm Yours, in English, which he dedicated to his wife. Support came from young New Zealand soprano Elizabeth Marvelly who gave us a mix which included Over the Rainbow, The Prayer as a duet with Potts, her own song Home and one from fellow Kiwi's Crowded House as well as one of the highlights of the show, the Maori song Tarakihi made famous by Kiri Te Kanawa. The 13 piece orchestra under conductor Bob Willis also deserve a mention as does pianist and musical director Chris Taylor. 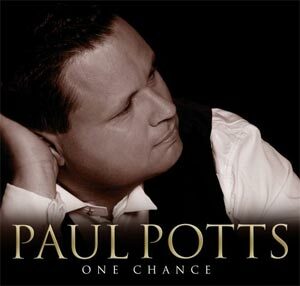 Although Potts has improved as a singer at times you felt that some of the passion he showed as a novice had lost out a little to superior technique, improved skills over raw emotion. The passion is still there, I have no doubt, but at times it seems more muted as if he his thinking more about his singing and technique then just feeling the music. Pott's ended with Con te Partiro (Time To Say Goodbye), made famous by another tenor who takes a bit of flak for not being Pavarotti, Andrea Bocelli. His encore was Nessun Dorma from Puccini's Turandot. This was the aria he performed at his first audition wearing an ill fitting suit and sporting less than perfect teeth. It was the aria and performance which was to change his life forever. The suits are now bespoke and the teeth even and gleaming but he still lives that song with a passion anyone can feel and it earned a deserved standing ovation. IT is hard to decide whether Pam Ayres is a poet or a comedienne. She is certainly very funny with her tales of everyday life and her delivery of an old Robin Hood joke made it seem fresh and funny. But it is her poems which first brought her fame and although purists might look down their noses at what might be dismissed as comic verse, there is a skill and rhythm to her work which is the mark of an accomplished poet. Her poems also contain wit and clever construction which make them flow. It all sounds and looks easy - much like the lady herself. The real charm of Pam Ayres is that she has no airs and graces. She is the lady next door who comes on stage as if she is about to announce the village jumble sale or ask for donations for the tombola at next month's church fete. She talks of everyday life and events that people can relate to and with little asides turns the ordinary into the hilarious such as the tale of the flatulent German dog or her Uncle Sam who worked on the railway and made a bird table out of old sleepers. Apparently, we are told, “It was sturdy”. Her poems follow the same path. A sideways look at the everyday whether it be pensions, children, know-it-all husbands or a mattress that won't go up the stairs. THE latest of the City of Birmingham Symphony Orchestra's hugely popular Friday Night Classics got off to an unsteady start, mainly due to a large number of people arriving late through traffic congestion. Some were tip-toeing to their seats 25 minutes into the concert, which must have been distracting to the musicians and singers, but when the show got up to speed it proved an absolute stunner. Conductor Martin Yates brought out the best in the orchestra, and the four vocalists - Rohan Tickell, Jacqui Scott, Tim Rogers and Rachel Barrell - were excellent in an impressive programme which featured mainly American musical hits in the first half, and songs from West End hits after the interval. The concert opened with the overture from Gypsy followed by numbers made famous in such spectacularly successful shows as Seven Brides for Seven Brothers, South Pacific, Guys & Dolls and La Cage Aux Folles. The second half saw the soloists come into their own, big time. Tickell (Why God, Why? from Miss Saigon), Scott (As Long as He Needs Me, from Oliver), Rogers (The Music of the Night, from Phantom) and Barrell (Wishing You were Somehow Here Again, from Phantom) were simply superb.